If you’re new to the Kass Wilson blog, welcome! 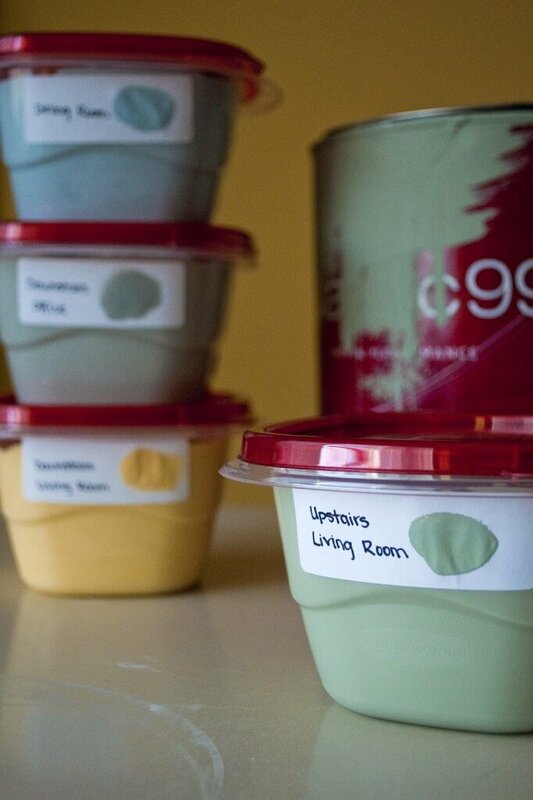 Last week I began Part 1: Extending the Life of your Paint Products educating readers on the tips and tricks I use to extend the life of my paint products and this week, we’ll finish up part two of the series, discussing storing your paint products! When done, transfer unused paint into the smallest possible container to reduce the amount of air in the can. Place a piece of plastic wrap inside touching the top of the paint before tapping shut. This will prevent a surface film from forming. It also keeps dried particles on the lid from mixing with the fresh paint. Make sure the lid and rim are clean so the container can be sealed tightly. A rubber mallet works better than a hammer because it will not bend or distort the lid. Store remaining paint in a climate controlled environment. Freezing will render paint products unusable. Do not leave paint cans on a concrete, stone or tile floor. This will cause the can to rust over time and distort the color. Protect the label on the can that describes the tint recipe. Place a small dab of paint on the top of the lid and write the exact location where it was used. This will eliminate the need to open the can more than necessary. If any custom products were used, (even decorative textures) be sure to package all left overs and label the directions about the recipe and how they were used. Caring for your paint products NOW will be comforting in the future in the event you need a repair! Connect and visit us on Facebook, Twitter, Google+, Houzz and on our website!